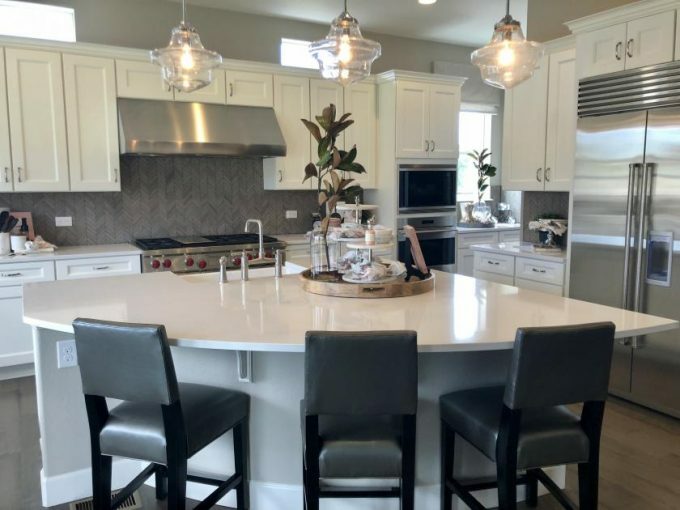 Shopping for a new home in Parker, Colorado? Be sure to stop in at Reata Ridge, Richmond’s newest community in Parker. Reata Ridge Ridge is located just off Parker Road and Stroh Road. It is conveniently located just across the street from King Soopers and the Stroh Ranch shopping Center. What do I love about Reata Ridge? I love that many of the lots offer privacy and a view. Reata Ridge sits on a hill. The hill has been terraced. The terraced hill is much like a staircase with homes sitting upon the steps. Base prices at Reata Ridge range from the low 500’s to the low 600’s. Richmond American Homes is offering homebuyers the choice of six floor plans at Reata Ridge in Parker. There are two model homes on site to tour. Be sure to watch the videos below for full walking tours of the models! Reata Ridge is a simple community. There is no pool or clubhouse. But the good news is that this keeps the HOA fees lower at just $85 per month. Reata Ridge is part of the highly rated Douglas County School District. To see these homes in person or for assistance in finding your new home in Parker contact Courtney Murphy. Courtney is a Denver metro Realtor who resides in Parker. One of her specialties is in new built home sales. Don’t start your house shopping without her!